To ensure a continued constructive evolution of Teknikkvinnor in general, and specifically in the work towards businesses and organizations, we have recruited an Advisory Board. The goal is to constantly stay relevant and offer effective solutions that contribute to a more equal and inclusive technology industry. Teknikkvinnor’s Advisory Board is made up of three individuals with different experience and specialties, which you can read more about below. Karolina’s passions are education, development and equality, and she works daily to allow for children and young adults to reach their dreams through mathematics. As General Secretary of Mattecentrum, she acts to promote knowledge of math and programming, to help girls choose STEM education, and enable tutoring in mathematics for all of Sweden’s students. By providing her immense experience, knowledge and network to Teknikkvinnor, she hopes to contribute to inspiring more girls and women in choosing more technology intensive professions and educations for a more equal and inclusive society. The economist who for more than 20 years has led multiple technology driven businesses in IT, Telecom and Security. 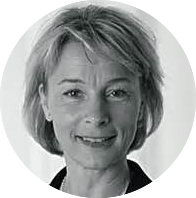 With long-standing experience from chair and advisory boards, Katarina’s knowledge stretches from Sweden and beyond. She’s very curious and always wants to learn and grow. Katarina is also full of energy, lighthearted, and rather says yes than no. She has left the operative leadership and now contributes with life experience and knowledge in a variety of areas. Currently she can be found at Swedish Kungliga Ingenjörsvetenskapsakademien, IVA, where she works with IVA’s long term efforts in Knowledge and Entrepreneurship. Over a 15 year career, he has been a management consultant with McKinsey and Accenture, before moving to work in boutique firms. His consulting style is tailored to the needs of different clients and highly collaborative. In his experience, building sustainable change requires co-creating with client leaders, so they ‘own’ the result. Michael now runs Metanis Consulting, a consulting firm that specializes in helping businesses of various sizes unlock profitable growth. His work often involves closely advising senior executives on their business issues, especially in Information Technology, Life Sciences, and Energy sectors. He deeply supports the mission of Teknikkvinnor because he believes that an equal gender representation will benefit women, the companies they work with, and society as a whole.